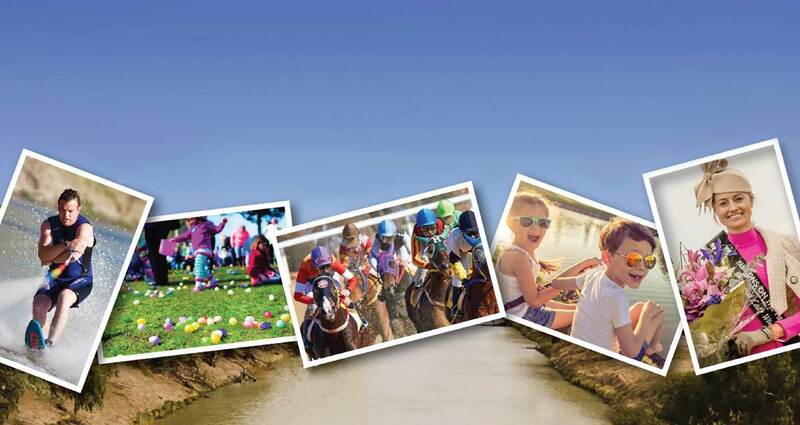 Bourke will be the place to be this Easter 19th- 22nd April for the Back O Bourke Easter Festival. The weekend will feature Picnic Races, Giant Easter Egg Hunt, Blues & Bluegrass Fest, Street Parade, Rugby, Campfire sessions, Colour Run and so much more. The Back O Bourke Picnic Races on Easter Sunday includes a five (5) race program with the feature race being the Harry Hart Memorial Cup. It is a great weekend of racing and really shows that racing is alive and well out west. Other attractions on the day will include a variety of food stalls and Fashions on the Field. Last year’s competition proved to be competitive and attracted a very classy group of participants including the teens and children’s categories. The much coveted best dressed lady and man are one of the highlights of the day. A full bar will be in operation along with TAB and betting facilities. The Club will have its merchandise for sale this year and includes both stubby holders and mesh trucker caps which will be available over the weekend and on the day. The White Cliffs Gymkhana and Rodeo is an annual event held on the last weekend of the NSW school holidays. The date for 2019 is 27 and 28 April. The White Cliffs Music Festival aims to provide a wide variety of musical genres and over the years has managed to engage a very broad range of artists from all walks of music, many of whom are internationally acclaimed performers. Dancing on the Darling in Menindee on Saturday 25 May will feature a range of quality acts including renowned singer /songwriter, Neil Murray. The Brewarrina Jockey Club is hosting the annual ‘Cod Cup’ on Saturday the 19th May. Family and friends are welcome to enjoy a fantastic day out. Gate entry is $20 per adult, children free. The day hosts an exciting program featuring 6 races, including the Cod Cup. The highly competitive ‘Fashions on the Field’ will be judged on the day, with various categories (to be advised) and generous cash prizes. Bar & Food services will be on offer throughout the course of the day. Stay tuned for further details to be unveiled. Held on the June long weekend, the “Bre Big Fish” is become bigger and better every year, attracting over 600 anglers in 2015. The Brewarrina Fishing Club aims to reduce the amount of pest fish such as Carp and restock the Barwon-Darling River with native fish to ensure future generations will continue to catch Cod and Yellow-belly. Mark it on your calendars, this year the annual Tilpa Gymkhana will be held on the 20th July. Capture the magic of the Outback at one of the friendliest, and most unique, race days in Country NSW – the Louth Races, hosted by the Louth Turf Club. Louth is situated on the banks of the Darling River, 132km north west of Cobar and 100km south west from Bourke. The Club stages a 7 race program, with prize money of $120,000 (for our anniversary meeting in 2018) plus trophies and sashes. Sky Channel will be in operation for off-course and interstate punters and all the usual amenities such as betting fluctuation, bar, barbeque and afternoon tea will be available. No alcohol is to be brought onto the course, however BYO is still permitted in the camping ground. Camping spots with firewood, toilets and a few showers are provided at the race course. LIVE Bands will entertain the crowds at Shindy’s Inn on Friday night and again following the races on Saturday at the track.